Any woman knows that a purse or handbag says so much about her, and her personality. That’s usually why you see women have so many handbags. Thirty-one Gifts has come up with a great solution to this dilemma – The Build Your Own Bag. A purse that’s totally customizable. Whoa, right?? With a few pieces, you can have a whole handbag wardrobe. Thirty-One Gifts has introduced the Build Your Own Bag line as part of their Studio Thirty One selection. The concept is easy – choose a bag body, a flap, and a strap. And they have a bundle that includes a body, a flap, and a strap. You simply choose which items you love. The bag bodies come in two styles – classic or modern. Classic is a small classic handbag shape, horizontal with rounded corners. 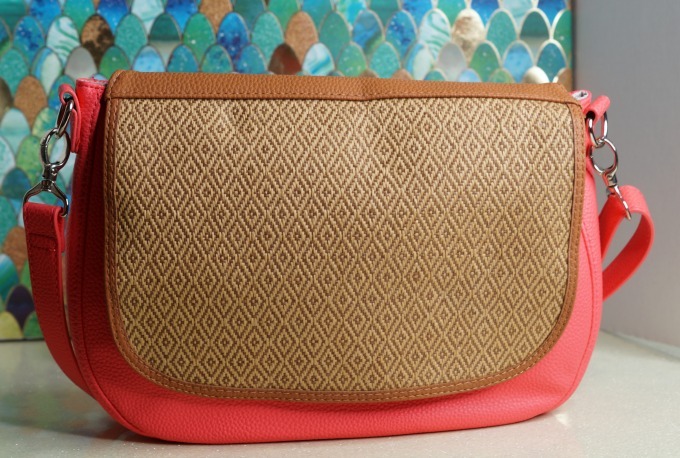 The Modern has more of a crossbody square shape. The bodies come in five great shades in an imitation pebble leather. The basics are Camel Charm, Midnight Navy, and Black Beauty. And then they have one color available seasonally. For Spring and Summer, it’s Calypso Coral. When Fall and Winter roll around, the seasonal color will be Ooh-la-la Olive. Where the real creativity comes in is the flaps that are available. These also change seasonally, but there are basics and best sellers that are always available. You can get a flap that matches any of the bodies, or coordinate with any number of fun prints and textures. The flaps are easy to change out, too. You simply zip them to the body, and unzip when you want a new look. I think the Diamond Straw will be fab for summer, and so elegant with the Camel Charm. I also love the Midnight Navy and the Lovely Leopard paired together. Island Nights and Garden Party are giving me Lilly vibes. For $18, you can easily change the look of your handbag. You can even get your flaps embroidered or monogrammed. Once you’ve decided on your purse body and your flap, now you have to decide on the strap. Do you want a short shoulder length strap, or do you want something longer that works for a crossbody bag? Decisions decisions. 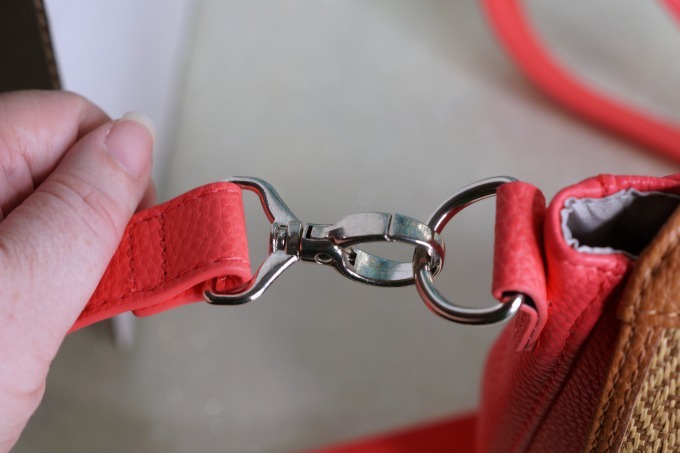 There are 9 colors of straps available, both in Shoulder and Crossbody lengths. The straps have great lobster claw style hooks that are really secure, too. The shoulder strap has a great length of drop that makes it secure and comfortable, but isn’t too long if you like to wear your bag on your arm. The Thirty-One Gifts Build Your Own Bags are really versatile, and well designed. The bag bodies and flaps both have hidden magnetic closures. This helps to shape the flaps on the bag, and makes it look great. The bag bodies have a large outer back pocket that’s the size of the bag, where the hidden zipper for the flap is, with a magnetic snap closure. 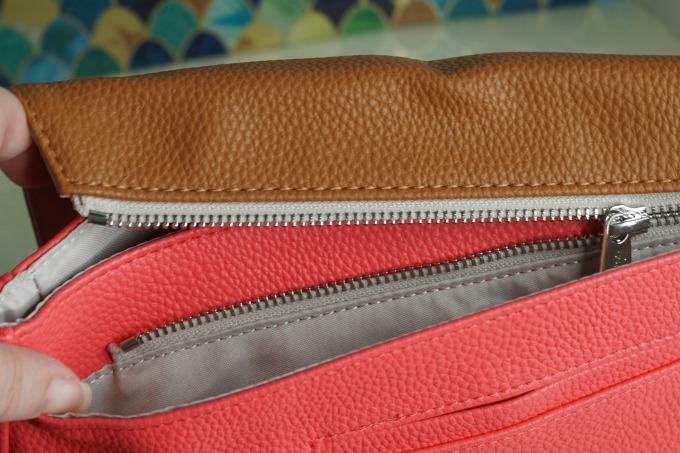 There’s also a smaller outer pocket that’s perfect for your phone, lip balm, or things like that. Inside has a large zippered pocket and two smaller open pockets. 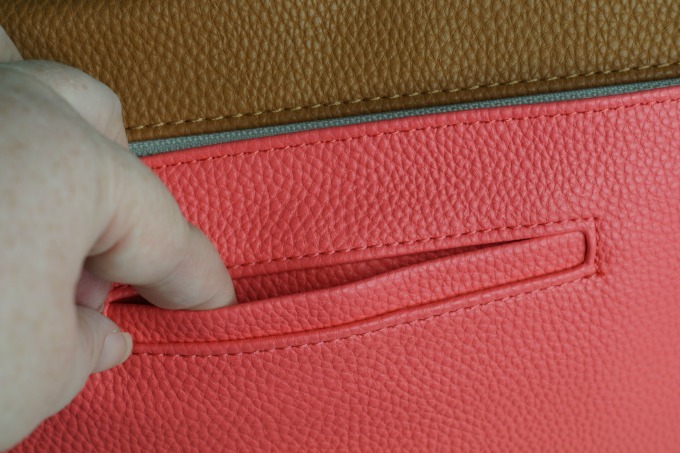 So often, bags have a dark lining, and your purse becomes a cavern. Not these! The Build Your Own Bags have a light colored lining, so you can see what’s in there. The convertible purse bodies are a great size, too. The Classic is 8 ½ x 12 x 2 ½ inches deep. The Modern is 12 ¼ x 12 ¾ c 2 inches deep. 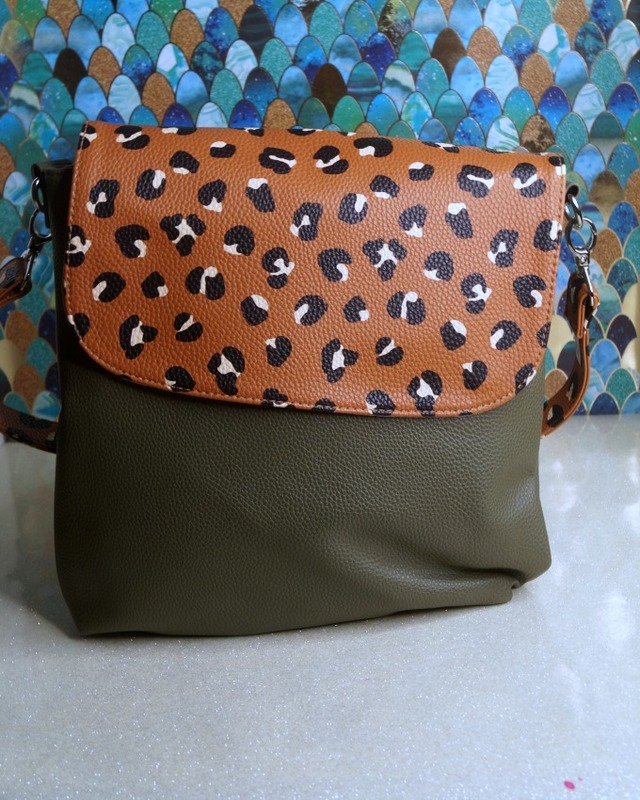 Shoulder straps are about 23 inches long, while Crossbody straps adjust from approximately 29 inches to 54 inches. All in all, these are very well designed bags. Aren’t you ready to build your own?